Rapper Guru has died at the age of 43 after battling cancer, according to reports published online. MTV.com says that the MC, whose real name was Keith Elam, died of "cancer-related causes" Monday after a "long fight" with the disease. The singer also suffered cardiac arrest in March, but was said to have recovered after surgery. Producer Solar, who was a friend and collaborator of Guru's, released a statement published in the report mourning the rapper's death. "The world has lost one of the best MCs and hip-hop icons of all-time -- my loyal best friend, partner, and brother, Guru," he said. "Guru has been battling cancer for well over a year and has lost his battle! This is a matter that Guru wanted private until he could beat it, but tragically, this did not happen. The cancer took him. Now the world has lost a great man and a true genius." Solar also claimed to have a letter written by Guru to his fans to be released upon his death. In it he talked about his non-profit organization, Each One Counts, and stated that he did not want his Gang Starr collaborator, DJ Premier, to be able to participate in any tributes or events surrounding his death. 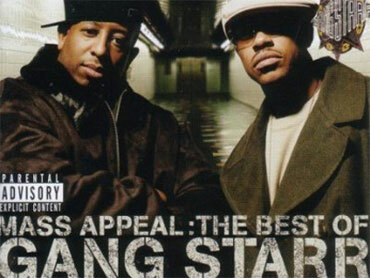 Gang Starr put out six records between 1989 and 2003. A greatest hits album was released in 2006. Guru also found solo fame with his "Jazzmatazz" series, a project that featured collaborations with jazz icons and he is recognized as a pioneer in the movement to merge jazz and hip hop.